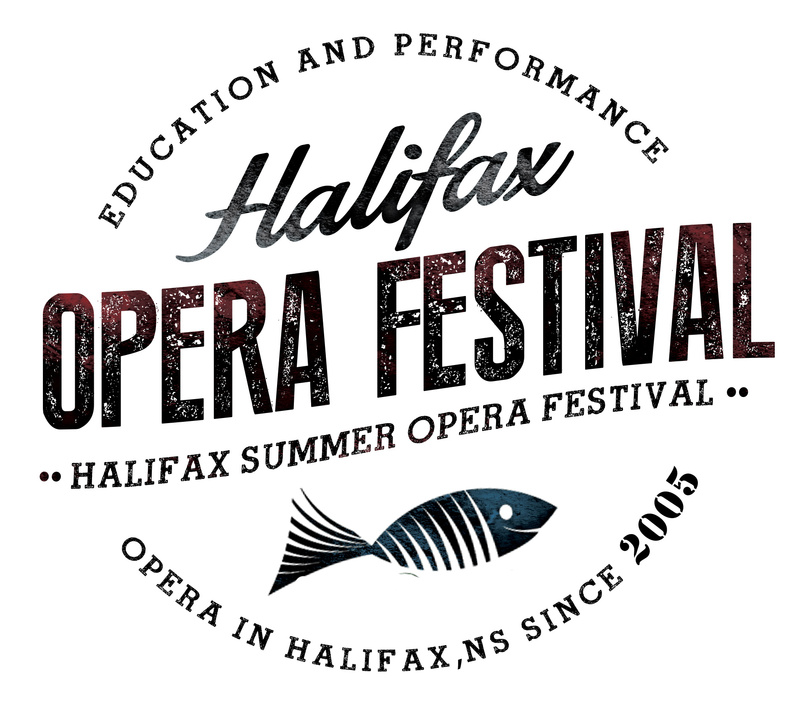 Join us for our first Opera Kitchen Party, and help us raise money to support scholarships for local singers to the 14th Annual Halifax Summer Opera Festival! 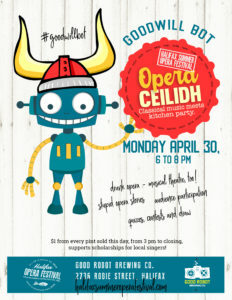 Thanks to the generous support of the amazing folks at Good Robot Brewing and their Good Will Bot program, $1 from every pint of beer sold on Monday April 30 will go towards our scholarship fund. They’re open from 3 pm, so come on in and drink to opera education! From 6 to 8 pm we’ll also present three sets of opera and musical theatre: featuring drunk opera, stupid opera stories, , audience participation, 50/50 draw, contests and an opera quiz. Many special musical guests will join us including Tara Scott on piano, soprano Maureen Batt, tenor Koosha Kormanian, mezzos Megan Hayward and Nina Scott-Stoddart, baritone MarKo Hubert and bass-baritone Tom Brosky. Admission is free! Come and raise a pint from 3 pm or after 8, or come anytime between 6 and 8 pm and party the operatic way!